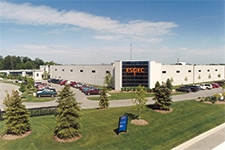 Production | About ESPEC | ESPEC CORP.
ESPEC produces more than 1,000 standard devices. We also provide many custom-made devices to meet the special needs of our customers. 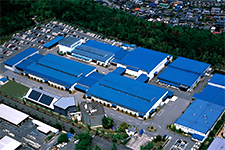 The Fukuchiyama Plant houses a production line with the capability to output a wide variety of small orders as it efficiently creates the necessary link between orders received and production. The plant is currently home to seven different facilities, including a large dedicated facility equipped with a clean room. As evident by our newest facilities, QMC (Quality Management Circle) activities, 3S (Seiri; organized, Seiton; neat, Seiketsu; clean) activities, and other endeavors, ESPEC spares no effort in improving its production facilities to create goods of the utmost quality. 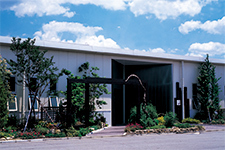 We also established the Fukuchiyama Training Center on site as the training base for our company's employees and those from other companies. 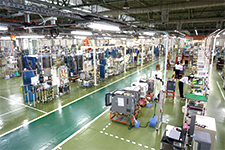 Based on the concept, "The foundation for product creation is in the people," the Fukuchiyama Plant conducts a unique program of education and training. 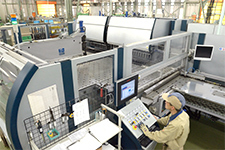 It has introduced an in-company proficiency measurement system in order to train and develop skilled employees able to efficiently produce high quality products, with many employees undergoing the test each year. These efforts, as well as the development of courses to train a group of leaders in the production field, indicate the focus being placed on the development and training of our people. 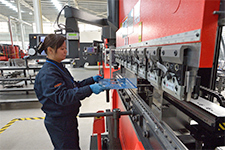 With five overseas production facilities in China (Shanghai and Guangdong), the U.S. (Michigan and Colorado), and Korea, we are always striving to expand our production capability so we may globally offer the highest quality products. 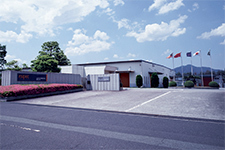 As the mother plant in the globally expanding ESPEC group, the Fukuchiyama Plant serves as the linchpin in our efforts toward ever more sophisticated and diversified product creation. SHANGHAI ESPEC ENVIRONMENTAL EQUIPMENT CORP.
ESPEC TEST EQUIPMENT (GUANGDONG) CO., LTD.
ESPEC NORTH AMERICA was established as our first overseas subsidiary in 1983. It has all development, production, sales, and service functions, and offers a wide array of product lineups to meet our customers' needs. It conducts the sales and service of its own products, including Global-N Temperature Cycling Chambers, Walk-In Temperature (& Humidity) Chambers, and Criterion Benchtop Temperature (& Humidity) Chambers, as well as those manufactured in Japan. It has obtained the second largest share of the U.S. market. By also providing QUALMARK-brand HALT/HASS testing chambers, ESPEC NORTH AMERICA can meet not only the testing needs of customers in the U.S., but also those in other countries throughout the world. 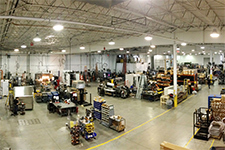 At our Michigan Plant, a 12,081m² building has been constructed on a large site with an area of 53,540m², and our Colorado Plant is engaged in the production of HALT/HASS testing chambers. 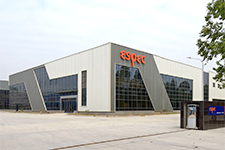 SHANGHAI ESPEC was established in 1986 as the first production base in China. It already has a history of almost 30 years and has garnered the great trust of Chinese customers. 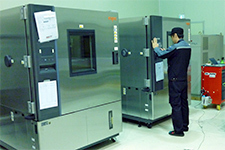 It is engaged in the development and production of a number of products including Walk-In Type Temperature (& Humidity) Chambers, Temperature (& Humidity) Chambers, Convection Ovens, Temperature Chambers, and Desk-Top Type High-Temp Chambers. It constructed three 3,000m² plants, which are equipped with the latest production capacity, covering some 30,000m² of land area. It spares no effort in improving its production areas by, for example, introducing QC circle activities and a proficiency measurement system in order to efficiently provide higher quality products. It continues to engage in challenging activities such as the development of new products in consideration of the Chinese market, which is expected to expand more and more in the future. In March 2014, ESPEC Test Equipment (Guangdong) Co., Ltd., which is fully funded by ESPEC, began operations. 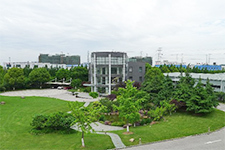 Built in an industrial park in the Nansha District of Guangzhou (Guangdong), an area flourishing in the electronics and automobile industries, it features 17,854m² of factory floor area spread out over a 28,579m² site. 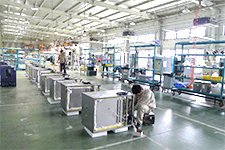 ESPEC Test Equipment (Guangdong) Co., Ltd. utilizes production technology developed in Japan to manufacture Temperature (& Humidity) Chambers, Compact Ultra Low Temperature Chambers, and Temperature Chambers. The products manufactured here will not only be sold in China, but also throughout Southeast Asia. ESPEC Test Equipment (Guangdong) plans to continue to develop as a new center supporting the activities of the global ESPEC brand. 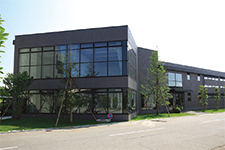 ESPEC KOREA was established in 2001. 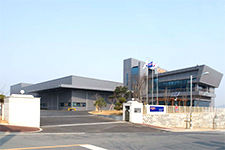 In 2006, the company constructed a plant equipped with the latest facilities in the Hyeongok Industrial Park in Pyeongtaek City, Gyeongi Province, a region that serves as the country's center for the electronics and automobile industries. The plant is involved in the manufacture and sales of environmental testing equipment. 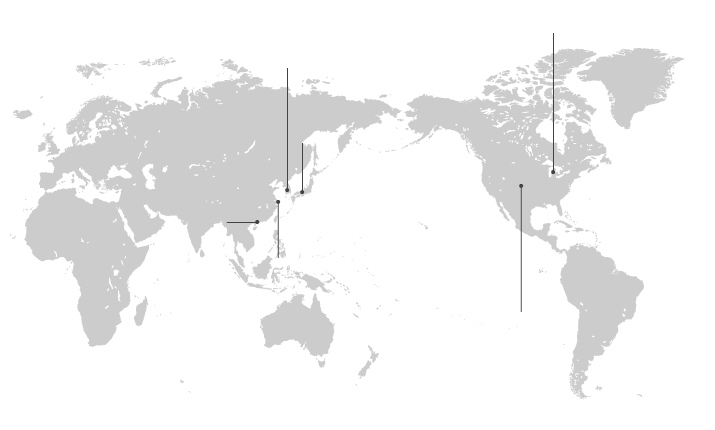 The products manufactured by ESPEC KOREA are not even marketed in the Korean market, but other countries in Asia as well as Europe. Efforts are always being made to upgrade and expand production capabilities to ensure the provision of high-quality products as the production base for ESPEC making waves all over the world. We are also trying to gain the trust of our customers domestically within Korea, a country where top class manufacturers that boast the latest technologies can be found.